If you’ve invested in an Instant Pot, you’ve probably already collected a lot of pressure cooker dinner ideas. Instant Pot Southwest Chicken Soup is just what you need when you’re looking for a meal that warms you from the inside out. Instant Pot Pork Carnitas Recipe for Pork Carnitas Tacos are SO delicious! We love pork tacos any day of the week. Instant Pot Spaghetti and Meatballs Recipe is perfect one-pot pasta meal. We give it seriously rave reviews. You’ll LOVE this recipe. We’re talking about flavor perfection and the ultimate comfort food you will surely be adding to your meal plan. 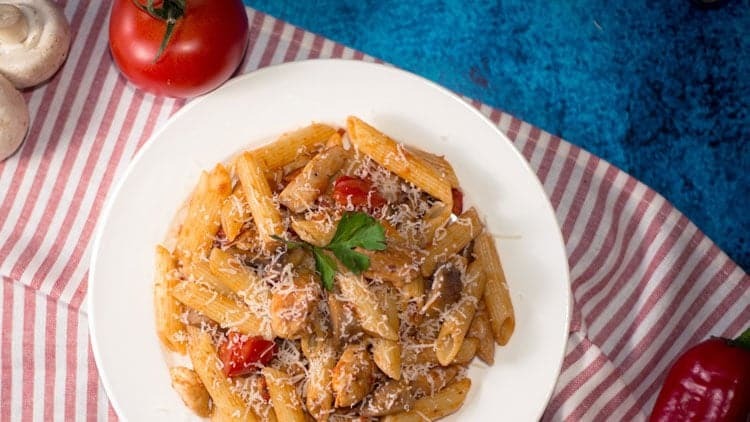 With Italian seasonings, tomatoes, and delicious chicken…so, so yummy! Make an easy dinner tonight. When we look for simple dinner ideas, pasta often comes to mind. Not only is it easy to make, but it is also an economic choice…kind of like our Poor Man’s Soup and Chili Mac that so many of you are fond of. One of the things we love most about the Instant Pot is how easy it is to use once you get the hang of it. What we are really talking about here is the ability to make an entire meal using just one pot. This not only makes cooking a breeze, but also makes for an easier clean-up. And when kitchen clean-up is a breeze…life is good! 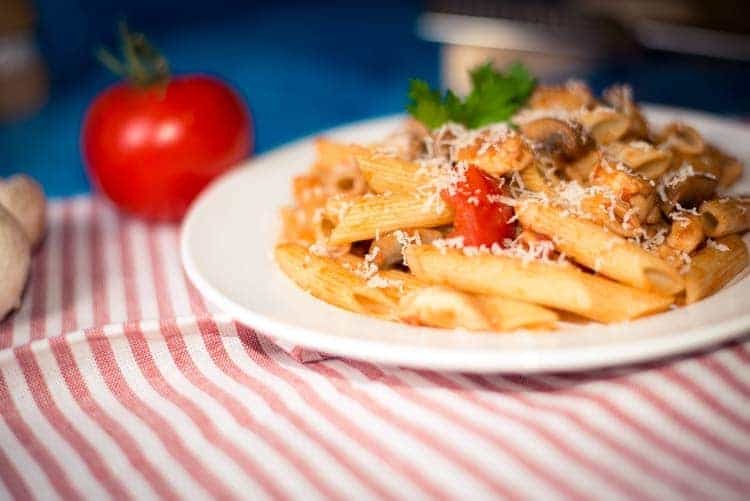 Top this tasty pasta with some Parmesan or mozzarella and some herbs to garnish. 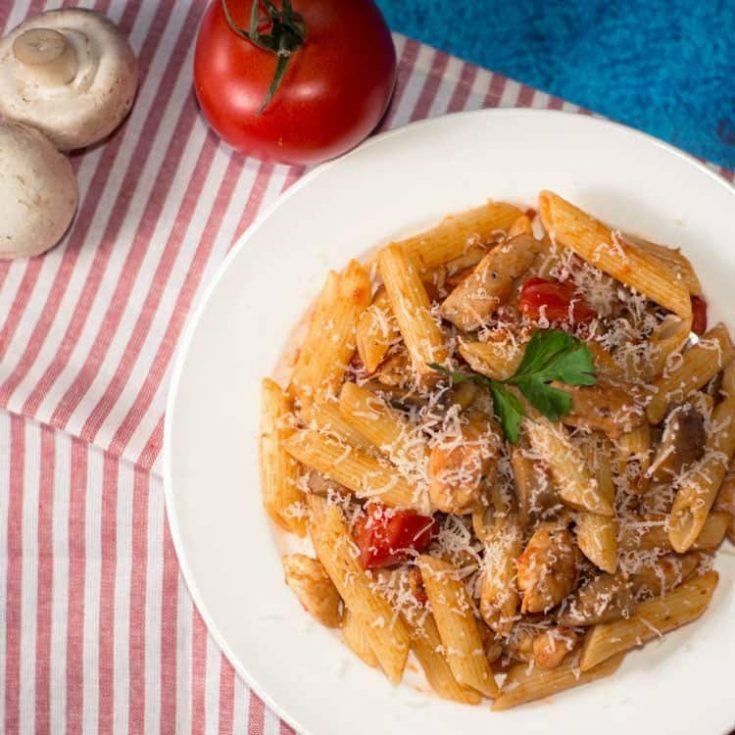 We love to top our pasta with fresh basil…delish! We LOVE cooking with chicken because it is SO incredibly versatile. Chicken recipes can range from simple baked chicken to something more complex. While still a baked chicken recipe, we absolutely adore our Stuffed Chicken Breast recipe. We stuff the chicken breasts with asparagus and then wrap them up with bacon. And add seasonings, because of course we would. 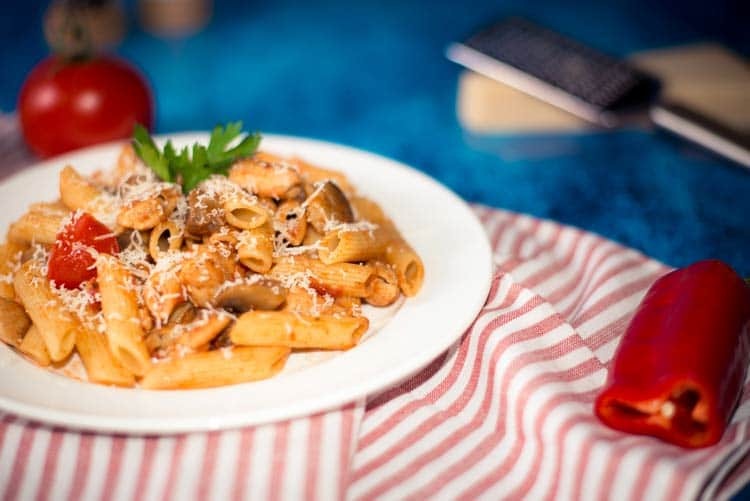 Casseroles and pasta dishes with chicken are also AMAZING. Give me chicken enchiladas any day! And, if anyone has an excellent recipe for Chicken Parmesan that they’d love to share–I’d love to try it. We’re pretty sure you are going to love this instant pot recipe! It’s one of our favorites. If you’re trying to figure out what to make, we’re pretty partial to our Weight Watchers Peach Cobbler and our No Churn Strawberry Ice Cream. They are both delish! 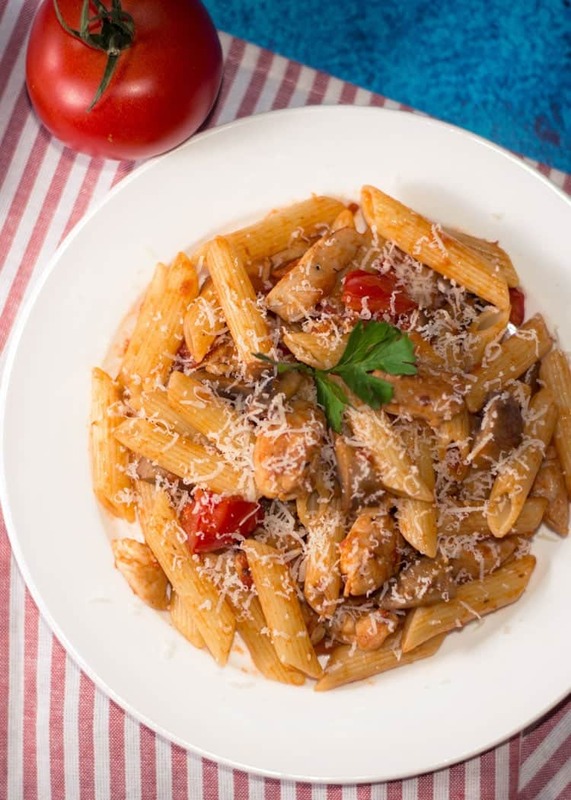 You'll love this delicious Instant Pot Easy Chicken and Penne Pasta recipes to be shared and enjoyed with friends and family. This is a easy meal to make in the instant pot. Remove pasta and chicken from pot, leaving liquid in pot.